Duramax StoreMate Vinyl Shed Kit with Floor is a perfect storage solution for your backyards. This Shed saves space and reduces clutter resulting in your property. 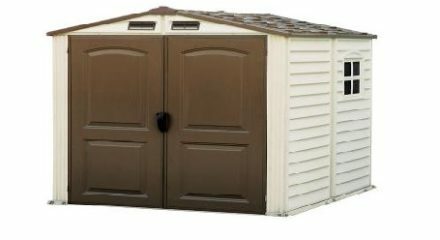 StoreMate Shed Kit has a large 60″ double door and a molded plastic floor, for quick and easy assembly.